Leslie Wessel doesn’t know what career her first-grade son will someday pursue, but she’s confident of one thing. Wessel, a Realtor and member of the Wichita-area Business and Education Alliance, is convinced that the current model of education in our state — which was developed around the farm and factory work days of 100 years ago — isn’t going to teach her son the creativity and other “soft skills” necessary to succeed in today’s workforce. She’s an advocate for the Kansans Can School Redesign Project, a statewide effort to re-think what education should look like in the 21st century. 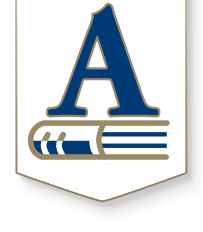 Four Andover schools — Cottonwood, Robert Martin and Meadowlark elementaries, and Andover Central Middle School — are participating in the redesign process this year. Eventually, every school in Kansas will undergo a redesign. But before educators decide what they need to change in the education system, they have been examining why the system needs to change in the first place. A statewide listening tour organized by KSDE showed that Kansans — and especially business leaders — thought schools should do a better job teaching employability skills such as communication, adaptability and problem-solving. Kansas has an 87 percent graduation rate, but that still means schools are failing 13 percent of their students. By 2020, 65 percent of Kansas jobs require some sort of postsecondary degree or certificate, but only 44 percent of high school graduates are earning those credentials today. For parents and educators, the “why” of school redesign is often more personal. Alicia Moss, a fifth-grade teacher at Meadowlark Elementary, says for her, redesign is about ensuring school is as valuable as possible to each individual child. Sarah Rogers, who teaches at Robert Martin Elementary, says her third-graders are naturally creative. But school doesn’t always encourage that creativity. Rogers stresses that schools will still be teaching to the state’s education standards. But the delivery will look different and may include more projects, more interdisciplinary learning and more fluid class schedules.